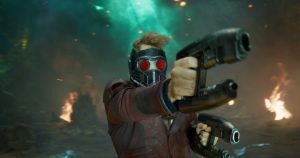 Home / Film / Guardians of the Galaxy Volume 2: Showtime, A-holes! The first Guardians of the Galaxy was a pleasant surprise. By no means deviating from the tried and tested Marvel template but imbued with enough individuality and style to stand out. It did a grand job of introducing a new set of characters and a more elaborate setting than the previous comic book outings, and by my reckoning was a better (slightly glib) Star Wars than any of the recent Star Wars films. The second film is now out and it’s a solid if predictable affair. The big appeal here remains the central cast. 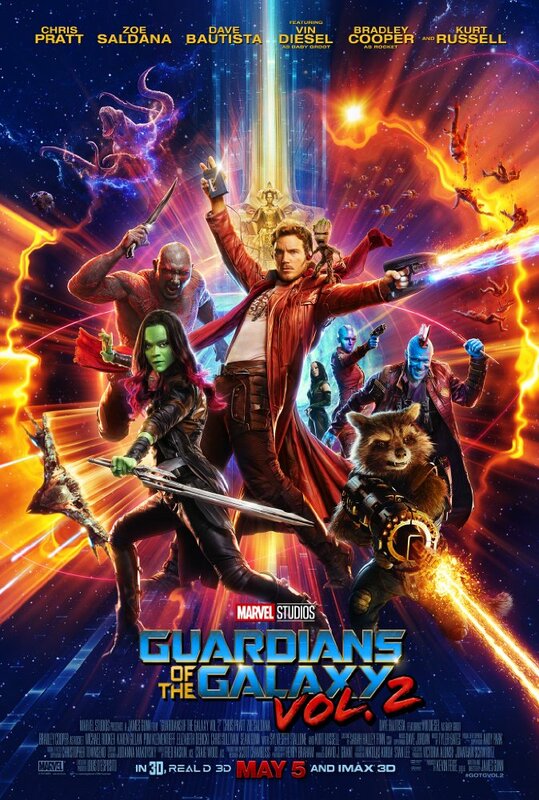 Writer and director James Gunn does a good job of giving due time to each of the protagonists and Michael Rooker’s Yondu has delightfully been upgraded from being a supporting character, as to a lesser extent has Karen Gillan’s Nebula. For me, the interpersonal dynamics are what the film exceeds at. 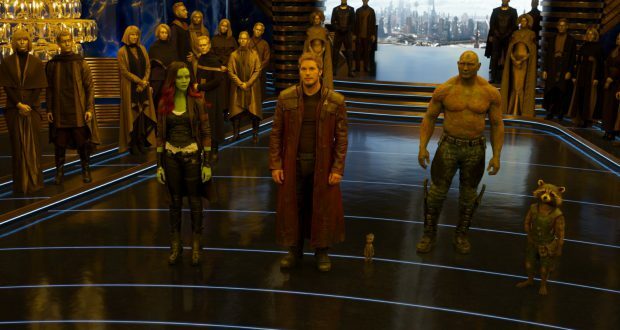 Chris Pratt’s career at this point is built upon him being charismatic, Zoe Saldana is given a lot more to work with than in the Star Trek franchise, Dave Bautista is underappreciated for his comic timing, and Bradley Cooper and Vin Diesel’s CGI outings show them both to have great range. My issue is that the need to include these galaxy-wide threats and big action sequences is to the film’s detriment. Of course, criticising a big action blockbuster for including plenty of explosions seems futile. Plenty of people go to see the characters shoot the hell out of stuff. 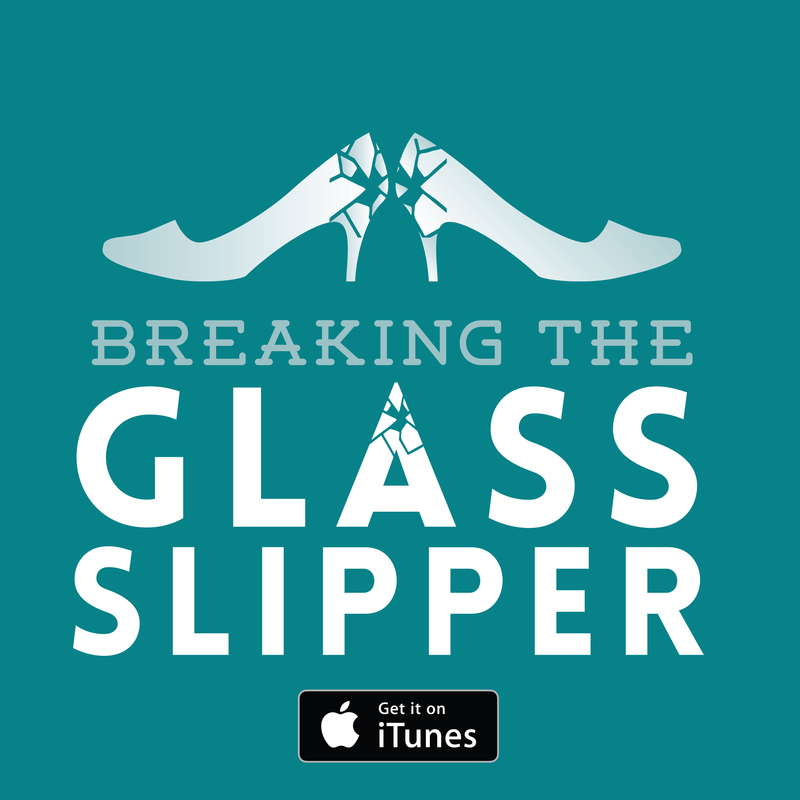 The problem is that the big threat in this one is quite divorced from a lot of the interpersonal conflict. It’s largely prefigured around Star-Lord’s past but doesn’t amount to much more than another new something-that-can-destroy-lots-of-planets. 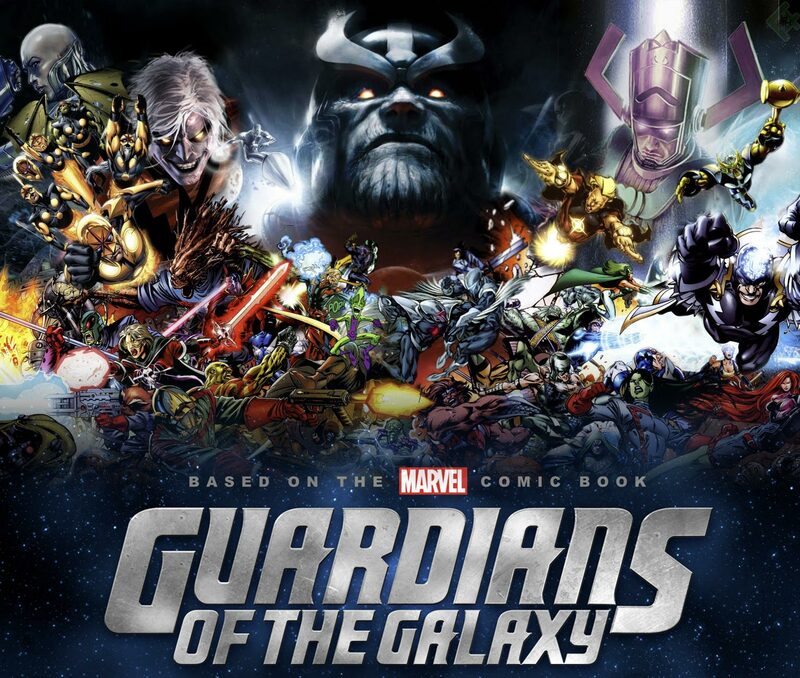 I was never going to get a version of this film where the Guardians sat around conversing and working through their issues. This is not an independent film, it’s a Marvel cash-cow. At least it avoids the first sequel cliché of being arbitrarily dark and gritty. But I can’t help thinking that the big dumb narrative is a bit ropey under close inspection, even compared to the first film which had a very convenient resolution. In this case, the film climaxes with some rather abstract and meaningless superpower brawling. Is a engaging threat that isn’t arbitrarily resolved too much to ask? It’s not a bad film and a lot more effort went into this than any of the recent DC outings. The classic rock soundtrack for which the first one was renowned (and poorly copied by Suicide Squad) is back but at this point, this is an expectation rather than a new development. Where the first Guardians was superhero fare with some stylish innovations, Vol. 2 is happy to rest on the laurels of the original. It coasts, in other words. No one is going to get a bee in their bonnet over this. Guardians of the Galaxy Vol. 2 will entertain the vast majority and achieve its purpose. This is the spacey flavour of Marvel’s popular brand. If you are tired of Mystic Marvel with Doctor Strange, or six-packs of Standard Marvel in the form of the Avengers, Guardians is going to give you its industrial sugary hit with a different aftertaste. This is not a palette cleanser or a move up to a discerning vintage, but it’s not pretending to be otherwise. 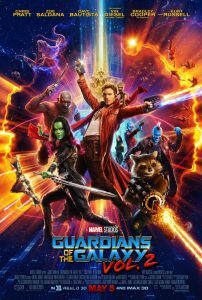 Verdict: Spirited but clumsy, Guardians 2 is a lacklustre adventure with a strong cast to redeem it.